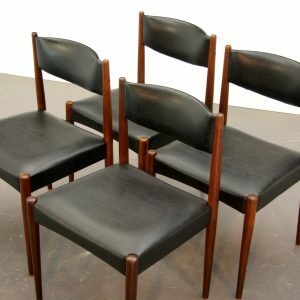 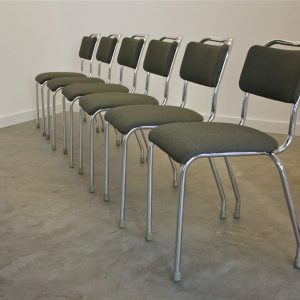 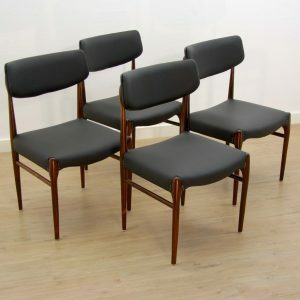 Condition: good vintage condition, signs of use on the edges of the leatherette. 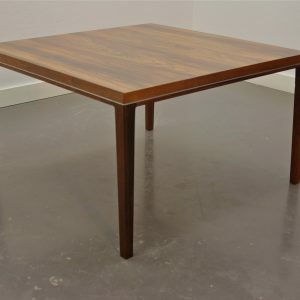 Condition: Good vintage condition, with some small (not disturbing) signs of use. 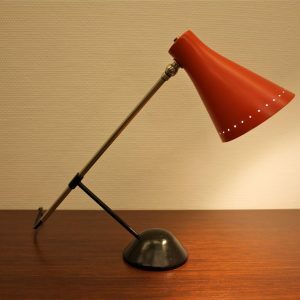 Condition: Good vintage condition, some small signs of use (not disturbing). 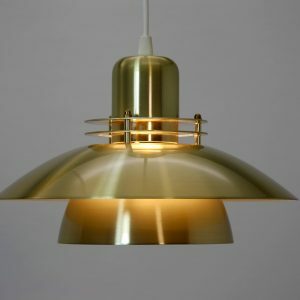 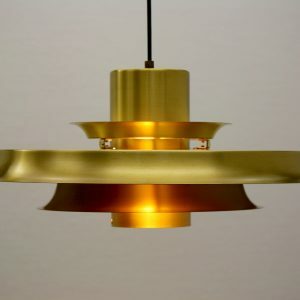 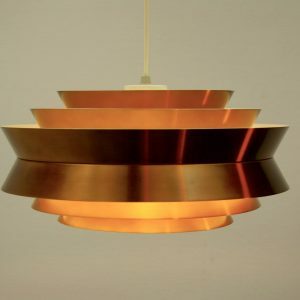 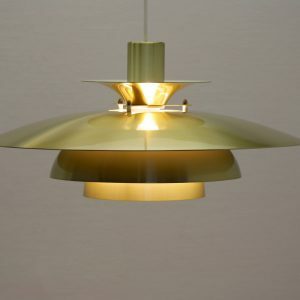 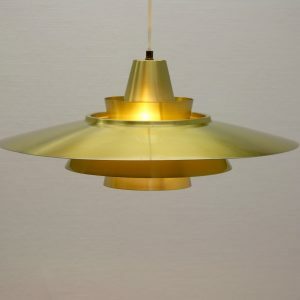 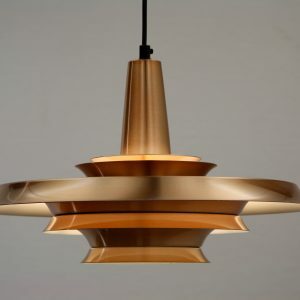 Danish pendant light in brass/gold. 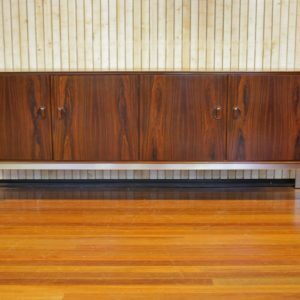 Condition: Good vintage condition, some signs of use. 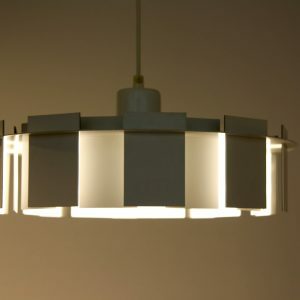 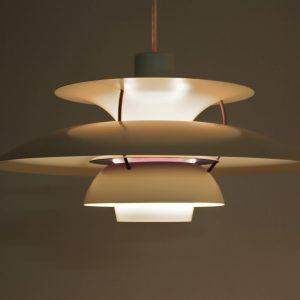 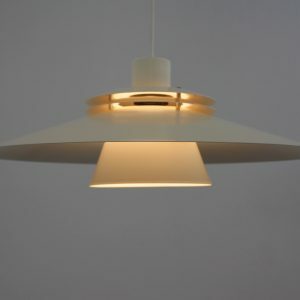 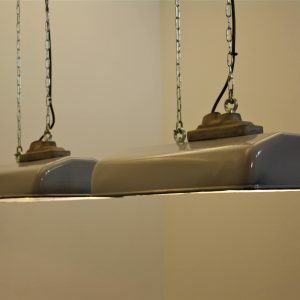 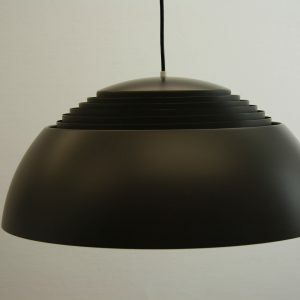 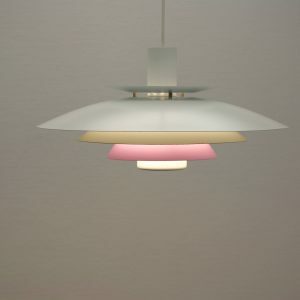 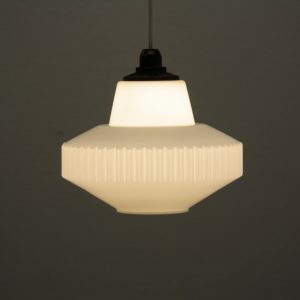 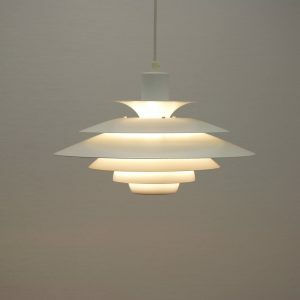 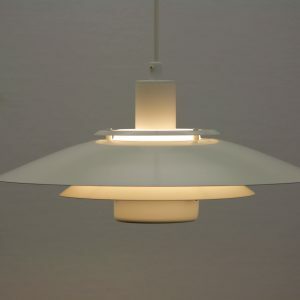 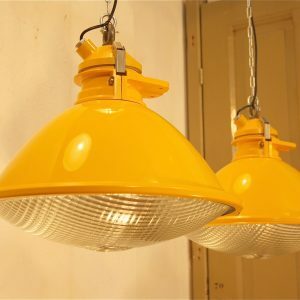 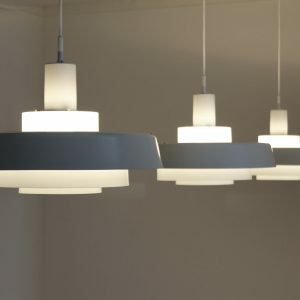 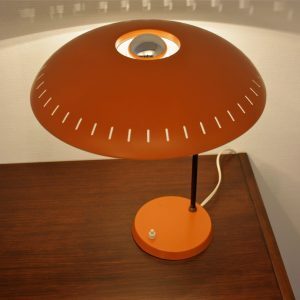 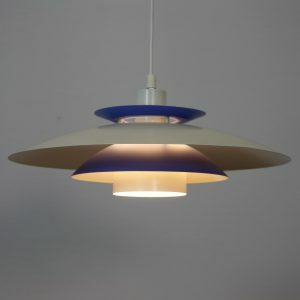 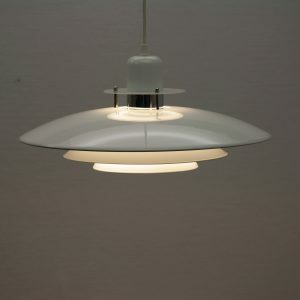 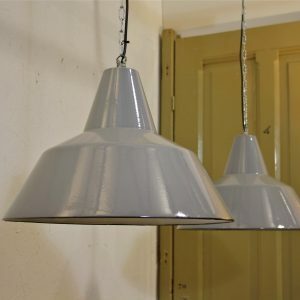 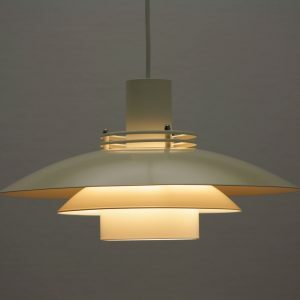 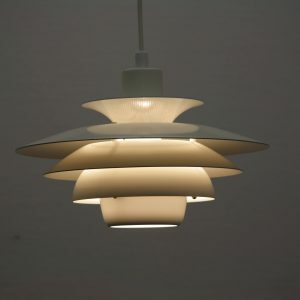 Early edition of the PH5 pendant light in an excellent condition. 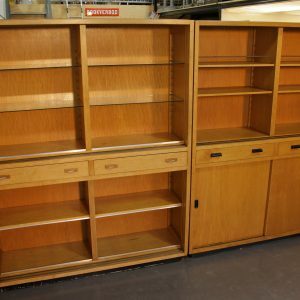 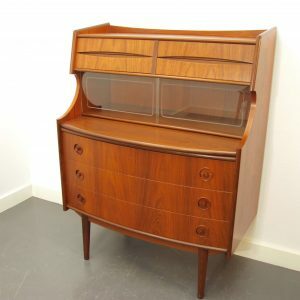 Cabinet on the left side is available, cabinet on the right side is sold. 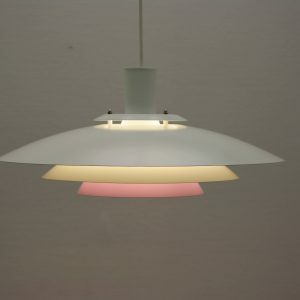 Colour is white, the outer scale looks darker when they are turned on. 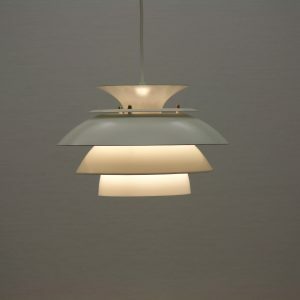 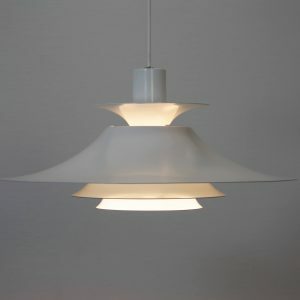 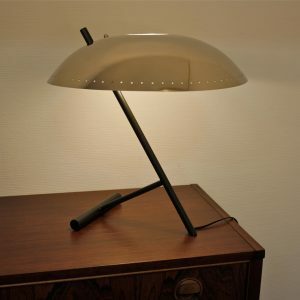 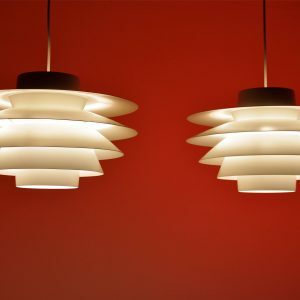 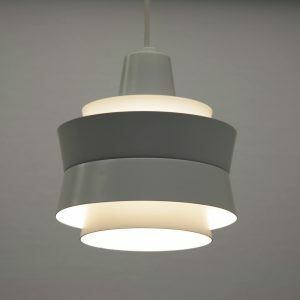 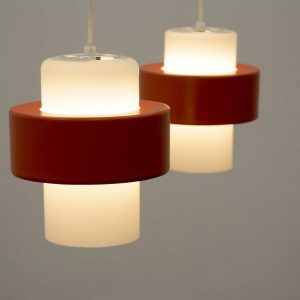 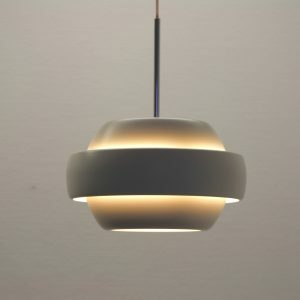 This lamp from Lyfa can be transformed from white to white/grey by changing the white parts as shown in the picture. 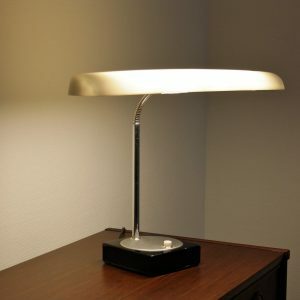 The inside of the lamp-shade is white. 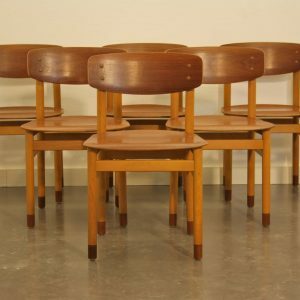 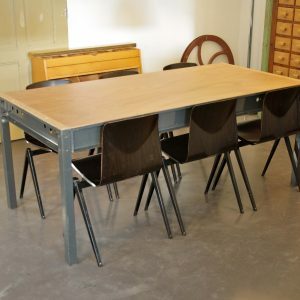 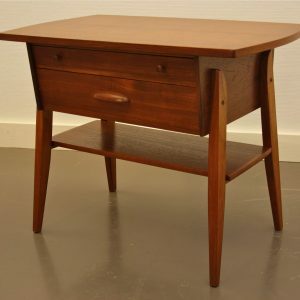 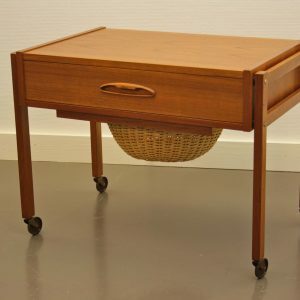 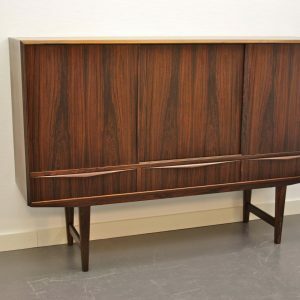 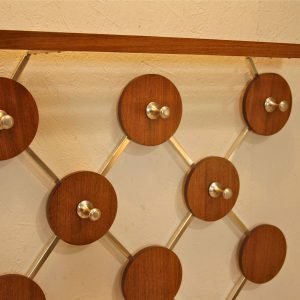 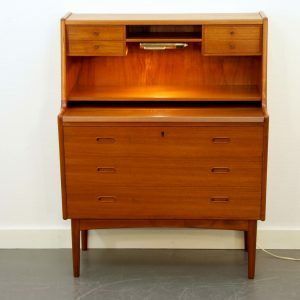 Danish sidetable / sewing table with unique details, made of teak. 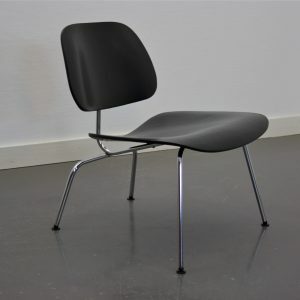 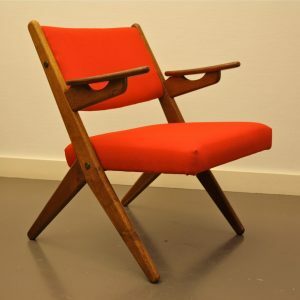 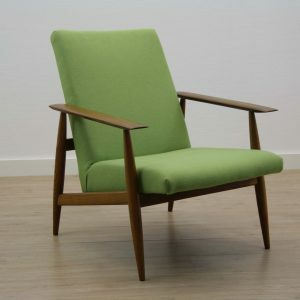 LCM lounge chair by Charles & Ray Eames for Herman Miller.